I no longer live in Middle Missouri. After ten long years of enduring its unforgiving heat and humoring the masses needing to be shown everything, I have left the Cave State for Amherst, Massachusetts. I don’t normally write about my distaste for the state in which I lived on this blog, but it was a tough time for me. Sure. I met some amazing people and had some amazing experiences, but it was time to go. So, what does one do when one moves 1300 miles to a region he knows pretty much nothing about? I guess I’ll kick this blog off again for one and tell you what else I am trying to do to get acclimated. Before that, I had to decide what could be moved and what couldn’t. Since this is a blog that has focused on beer and music, I’ll start (and probably end) there. The beer from my cellar had to be consumed. So, for the past few months, I have been drinking through all the stuff I was trying to age. This wasn’t a big deal as most of these beers were over a year old, meaning they were aged to perfection. In my opinion, 1-2 years is plenty of time to age a beer (made for aging). Additionally, the homebrewing I didn’t really have time for since my son’s birth last year came to a standstill. I did manage one batch of a blueberry lambic. Even that didn’t have the time it really required to age perfectly. The records were a different story. After some extensive Googling, I found that the standard, small boxes from Uhaul were ideal. The trick is to pack them in tightly so that there’s no room for bending, breaking, or warping. So far, all the records have played well. So, you can release your collected breaths. FTR, the records were the first things I packed but not the first things I unpacked. Once I could get agreement for the placement of the Expedit shelving, I was able to unpack my collection. It’s not a huge record collection, but it more than makes up what it lacks in quantity with quality. At this point, we’re pretty settled. I have done minimal exploring and have a lot to learn. There are a few good vignettes I’d like to share, but I may have to share them over the course of several posts. I’d really like to get back to longer posts that explore subjects and not just reports or updates on what I am doing. That said, I can at least give you a preview of a few of these topics. There was the day I drove over to Northampton to buy some of Kim Gordon’s old stuff at her garage sale. It’s not an exciting story and it’s really kinda sad that she’s leaving the area, but it presents an opportunity for an interesting blog post. There are the breweries and beer retailers I’ve discovered not to mention the rich craft beer scene here. So, there will be plenty of beer-related posts. (This is important as more of you read this blog for the beer stuff than the indie rock rants.) I also have a completely new music scene to sort out. There are some interesting leads and still record stores to explore, but that will take me some time. Also, there’s a generally cool area of DIY and local craft economies to suss out. I have a lot to process. Sorry for the hiatus I seem to go through every few months. I think I have the motivation to make this blog work again. Either way, thanks for sticking with me. 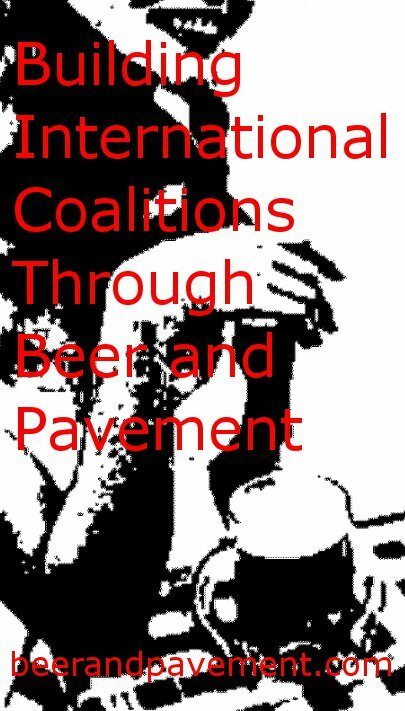 If you are new, please look back through Beer and Pavement’s history. There’s some stuff in there I’m quite proud of (and some I’m not). Congrats on the move! New England is chock full of brewery goodness (this you know), so you’ve got some fantastic beer exploring ahead of you. Look forward to reading about all your adventures. I guess I found this blog near the tail end of your time in central Missouri, so I didn’t know it was rough for you — you made it sound like a cultural and social hotbed! I had a previous blog called “living in misery” and wanted to get away from the loaded nature of that project.